According to the Centers for Disease Control and Prevention (CDC), 1 in 25 drivers have reported falling asleep behind the wheel in the last 30 days. Given how many people are on the road throughout Concord, CA and the entire East Bay, these findings should be alarming. 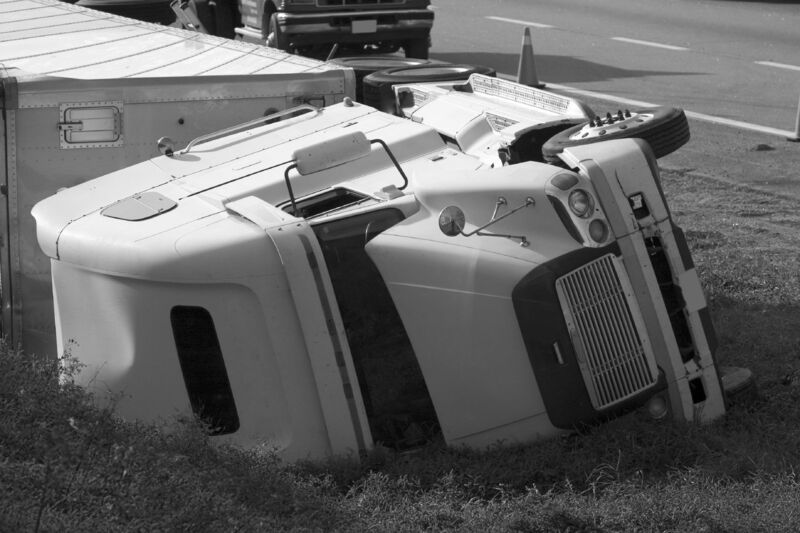 Driver fatigue is dangerous, and it contributes to a number of truck accidents each year. Given the hazards of drive fatigue and how common it is, the team at Sumner Law would like to take a moment to consider some facts about commercial trucking and driver fatigue. This should help you understand the dangers out there and how a lawyer can help if you’ve been harmed in an accident. When you’re drowsy or exhausted on the road, your attention and alertness is negatively impacted. The same is true of your reaction time and overall coordination. If you fall asleep behind the wheel, you run the risk of drifting into another lane and winding up off the road. These dangers are even greater when a large truck is involved. The mass of these vehicles and the amount of space they take up on the road means greater likelihood of deadly crashes and multi-vehicle collisions. According to the National Highway Traffic and Safety Administration (NHTSA), drowsy driving resulted in an estimated 72,000 crashes and 44,000 injuries in 2013; up to 6,000 fatalities may be related in some way to drivers falling asleep or becoming tired while on the road. Perhaps the most notable instance of driver fatigue is the 2014 Walmart truck accident that seriously injured Tracy Morgan and claimed the life of comedian James McNair. It was claimed that the truck driver dozed off behind the wheel, and had been awake for almost 24 hours at the time of the crash. The National Transportation Safety Board (NTSB) found that the driver was at the very least close to the federal legal limits for time spent behind the wheel in a given shift. Walmart settled Morgan’s lawsuit for an undisclosed amount in May 2015. We noted that there are federal regulations to help prevent driver fatigue. These hours of service standards prevent drivers from spending more than 14 hours behind the wheel in a given day, and enforce mandatory breaks. However, as seen with the Walmart crash, these laws can be violated, and the results can be tragic. Who Is Legally Liable in a Driver Fatigue Accident? The truck driver and the trucking company may be legally liable for an accident occurring as a result of driver fatigue. In the Walmart collision, for instance, it was noted that the truck driver was forced to drive to a distribution center hundreds of miles away rather than stopping at closer delivery centers that were within a reasonable distance. If you or a loved one has been involved in an accident with a large truck, it’s important that you speak with a lawyer about your legal options. We can go over the circumstances of your case and determine if you have a case to pursue. For more information about your legal rights and options following a truck accident, be sure to contact an experienced injury accident lawyer. We will discuss your case in greater detail and offer our legal expertise and guidance.